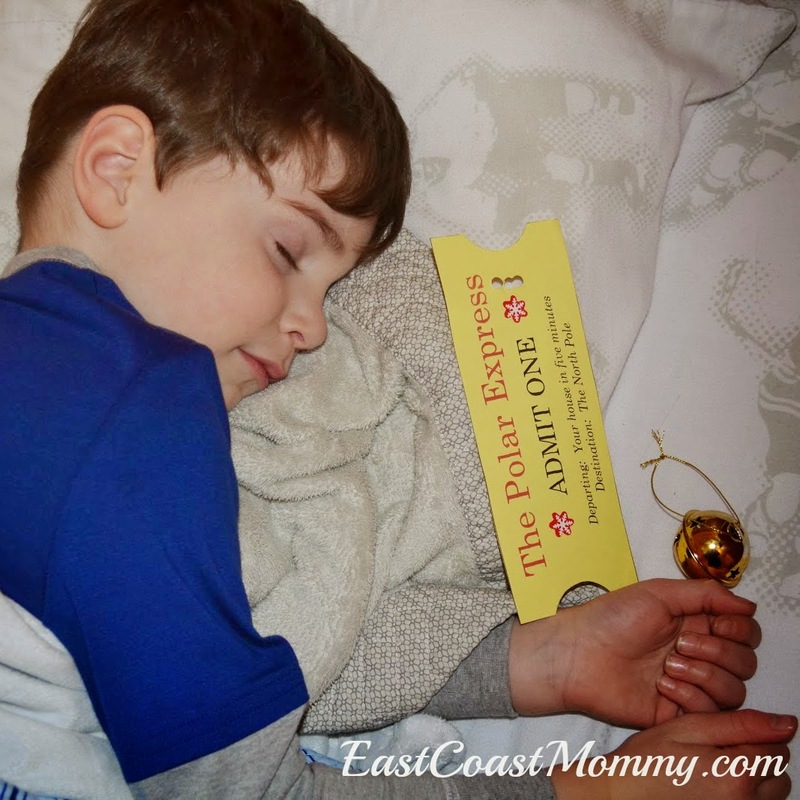 The Polar Express is one of our favorite Christmas books (and we love the movie too). 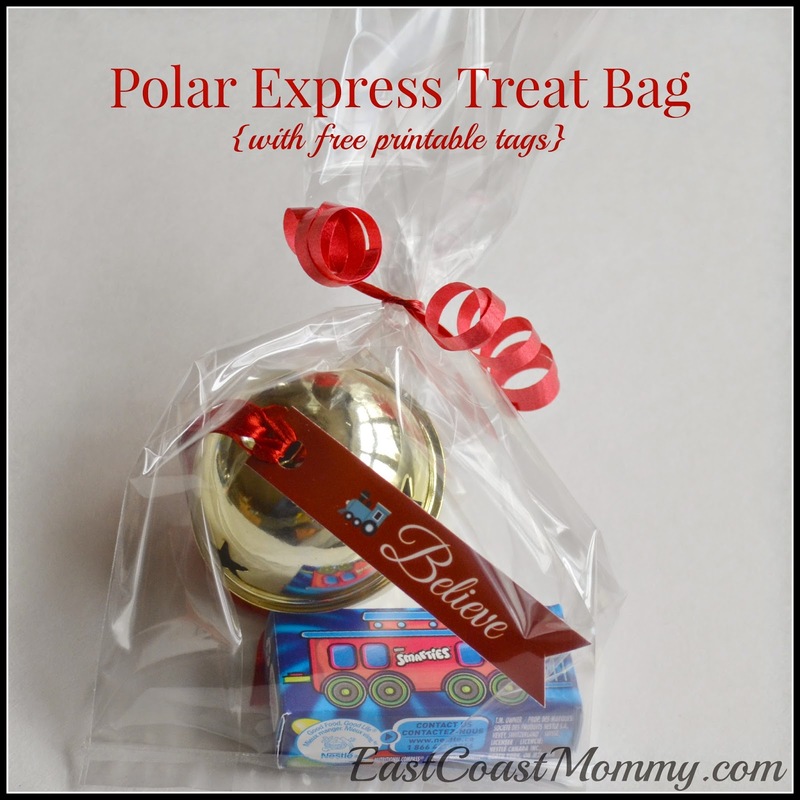 So, when I was trying to come up with little gifts for my 7 year old to share with his class this year, I decided to go with this adorable Polar Express treat bag. Isn't it cute? I bought gold bells at the dollar store, added ribbons, and attached "Believe" tags. You can print the tags I designed by right-clicking on the picture (below), saving it to your computer, and printing it like a regular 4X6 photo. I packaged the bells in bags with little boxes of "train" Smarties, but if you are concerned about sugar or allergies, you could just give out the bells. What child wouldn't love to receive this adorable bell ornament? I'm going to leave them on my boys' pillows on the night we have our annual Polar Express minivan adventure (which is one of my favorite Christmas traditions). 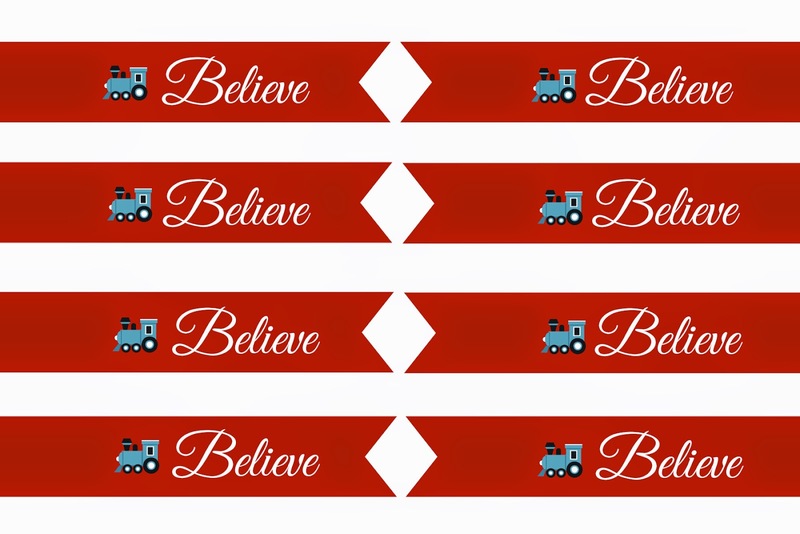 Do you love The Polar Express as much as we do? What are some of your other favorite Christmas movies? Where do I get train boxes of smarties? 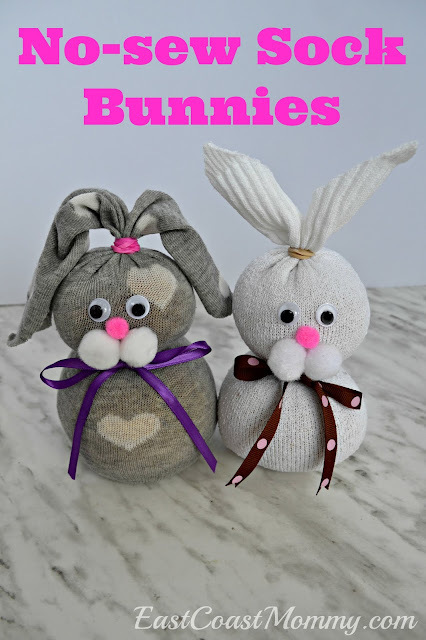 I got them at the dollar store last year... but I saw them at Walmart and Shoppers Drug Mart too.